OK fine, But no doubt the're going to blame this on President Obama too. 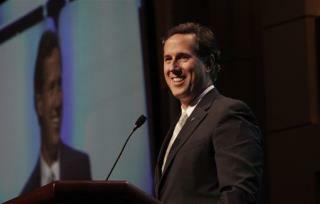 I'd be amazed that if Romney wasn't worried about the speech Santorium has prepared. GOP Convention will be a bacchanal of veiled racism, sexism, xenophobia, and homophobia. Gotta' keep the bottom-feeders stoked.